Linking the Lesser Town with the Old Town, the historic Charles Bridge is an essential sight to see for any tourist in Prague. 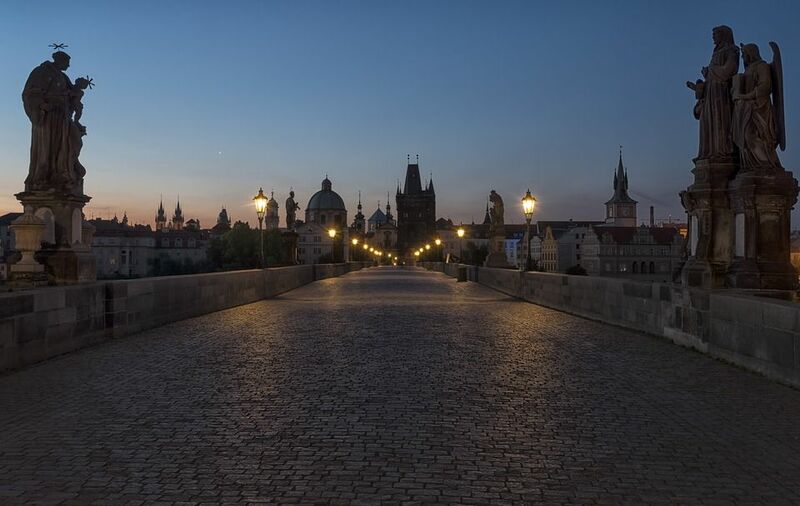 Named after Charles IV of Bohemia, the fully-pedestrianised Charles Bridge is the oldest and most famous bridge in Prague. 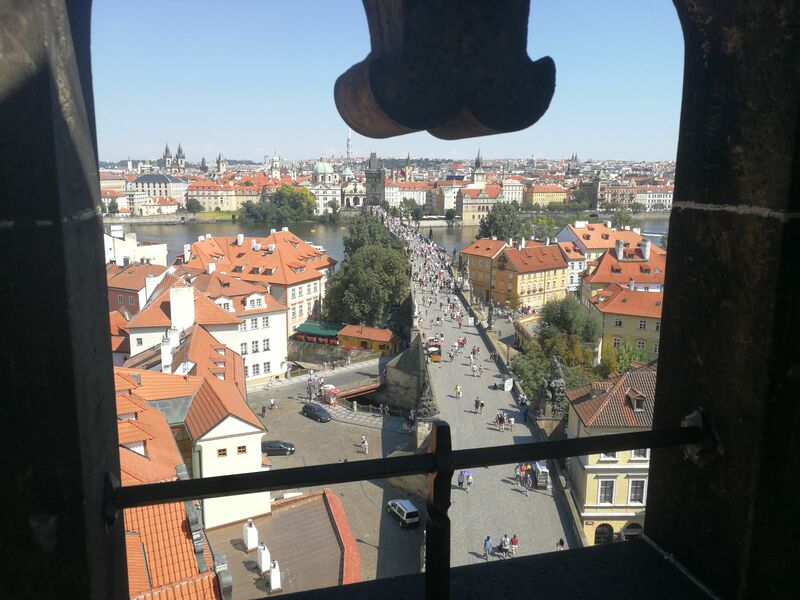 The 16-arch bridge was built over the Vltava River between 1357 and 1402, and the 30 statues along the bridge were added between 1683 and 1714. The gothic style of the bridge contrasts with the baroque style of the statues. Two towers protect the bridge on the Lesser Town (Prague Castle) side, and one tower does so on the Old Town side. During the summer months, the bridge is crowded by tourists taking their pictures and locals selling them art and souvenirs. Visitors can also enter and climb the Lesser Town Bridge Tower for some great views of the city and the river.